Look Ma No Guide Rod!! 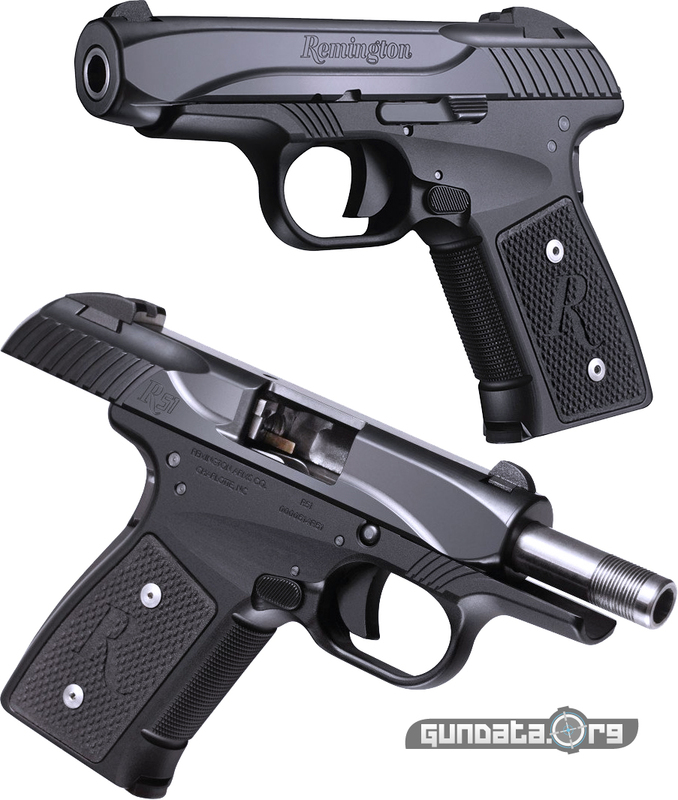 The Remington R51 was featured on the front page of Guns & Ammo and announced at ShotShow 2014 and is the first bit or originality we've seen in the subcompact / compact 9mm and 380 acp handguns that have been selling lately. Nearly every other handgun being sold in this niche has a separate guide rod, a part that is non existent in the new Remington R51. For those of you unfamiliar with the internal workings of modern handguns the "Guide Rod" is not a fishing guide, but rather a long piece of polymer or metal that is used to stabilize the recoil spring. The recoil spring is what stores energy and chambers the next round. To me this gun looks like the Makarov (9mm) with a different grip angle, and a trigger job. An indeed the Makarov uses the same spring over barrel configuration. Other nice touches include a swap able grip plate panels for those of you who like the rosewood look, ambidextrous mag release, and a ergonomic 20 degree grip angle. At 21oz unloaded the Remington R51 is just a few ounces heavier than the M&P Shield (one of our favorite carry 9s), yet less than the Springfield XDS. Price is supposed to come in at around $419 if you can get one. All in all we are interested in getting our hands on the Remington R51. As a small side note the lack of guide rod makes the front of the gun looks a bit strange with just that one eye (barrel) looking at you. I'd also like to know if you are supposed to lube the outside of the barrel with rem oil or similar? I'm also curious to see if the removal of the rod and placement of the recoil spring over the barrel will make the management of recoil and follow up shots easier or harder. It would have to change the game somehow, that's for certain. Post your comments and reviews below, and thanks for reading. We will just have to wait and see if this return to the Model 51 design provides proper reliability, we would assume so, but you know what they say about assuming. If it ends up anything like the Makarov this pistol should be a winner.